Cool-weather riding made convenient. That is what the Spidi Tronik H2Out Jacket is all about. In keeping it sporty, without making it ultra-aggressive in the cut, Spidi was able to provide riders with a high-performance and streamlined motorcycle jacket that is at the same time quite comfy and full of utility. Constructed of a high-tenacity outer fabric that is backed by ForceTech protectors at the elbows and Multitech protectors at the shoulders, the Tronik H2Out Jacket combines a rugged exterior with a well-fortified interior for ample riding protection. To defend against the elements, the Tronik H2Out also features Spidi’s proprietary H2Out waterproof liner that has been designed to persevere through the wettest of conditions. 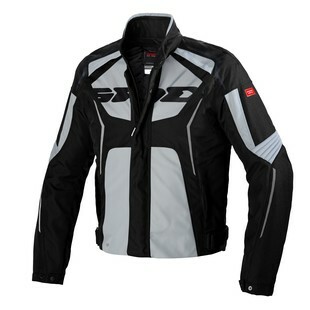 Additional features of the Spidi Tronik H2Out Jacket include a 100g thermal liner for heat retention, reflective panels for added visibility in low-light riding scenarios, ample venting to allow for a bit of airflow should riders get warm, and a waterproof outer pocket for storage of valuables in the event of inclement weather. Packing a lot without needing a lot. The Spidi Tronik H2Out Jacket gets it done for the rider looking to effectively navigate various cool-to-cold weather riding scenarios, and do so with a sport look!